With its deep mesmerizing ultramarine color, tanzanite is a captivating gemstone. Looking into its facets, you may feel as if you are staring down into the depths of the sea. While its existence was not even known until the 1960s, it has become a very popular and valuable gemstone, coveted around the world by collectors and jewelry enthusiasts. Tanzanite takes its name from Tanzania. 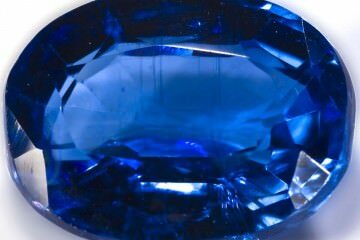 Remarkably enough, that is the only place this deep blue gemstone has ever been found! That was not its original name though. Previously, it was known as “blue zoisite,” which is precisely what it is. 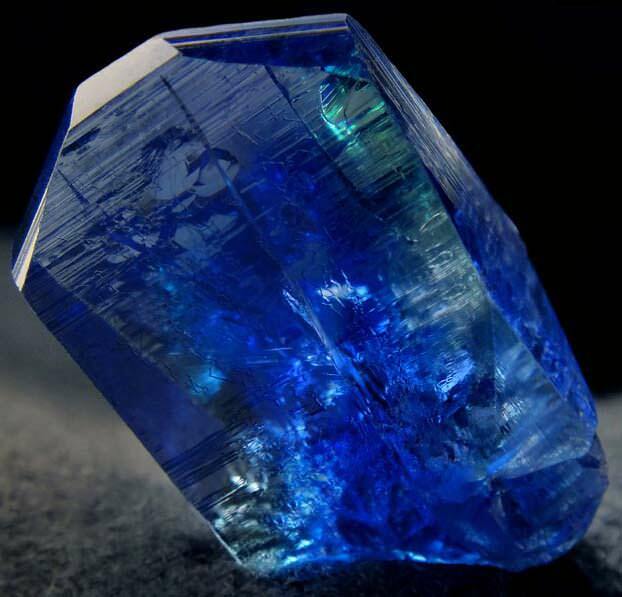 Tanzanite is classified as a sorosilicate with the formula (Ca2Al3(SiO4)(Si2O7)O(OH)) + (Cr,Sr). 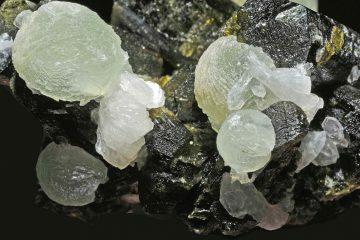 Decoding that complicated chemical formula, blue zoisite consists of calcium and aluminum silicate. 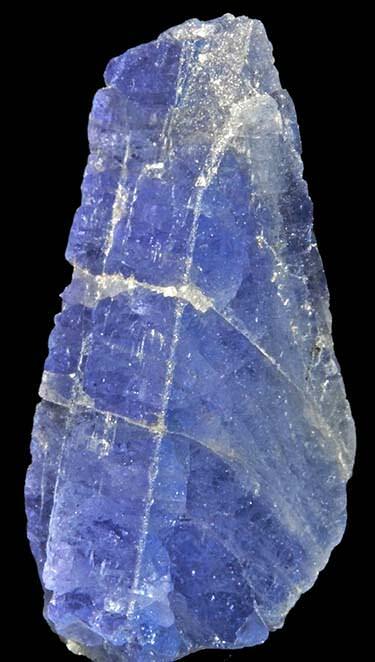 Tanzanite is neither particularly hard nor particularly soft. 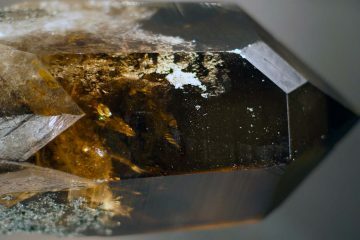 It sits right above the middle of the Mohs scale of hardness, ranging from around 6.5 to 7.0. Because it is not very hard, it can easily be scratched or damaged while cleaning or wearing, so great care must always be taken with it. 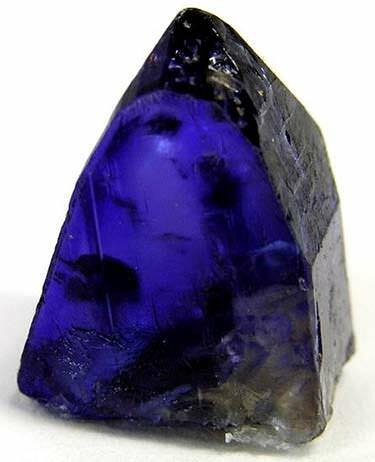 Tanzanite is prized largely for its color. The lighter gems are a soft blue-violet hue, while the darker ones run toward the deep ultramarine, and may even resemble sapphire. It would be an oversimplification though to call this stone indigo. The colors are not always distributed evenly, and some facets may be a deep blue while others may be a deep violet. Blue is generally the predominant hue. The amazing color effect of tanzanite is actually more complex than that, however. The gemstone exhibits a special effect called “trichroism.” That means that depending on the angle you hold the gemstone at, you may notice different colors. While blue and violet are the most common hues, you may also observe burgundy or even brown. Under a fluorescent light, the blues will stand out. 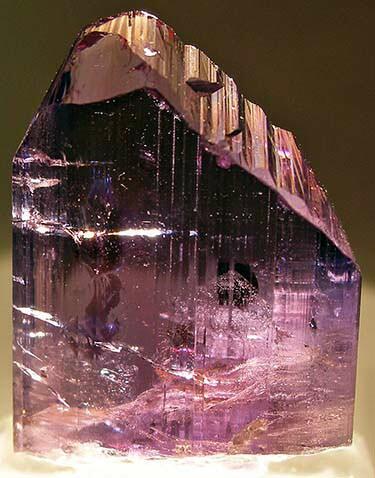 To get a good look at the violet hues, you can place the gemstone under incandescent light. Intriguingly enough, raw tanzanite mined from the earth often appears completely different. Usually the color is quite dull, and closer to a reddish-brown. It is only after heat treating that the blue and violet hues really get to emerge. Heat treatments are commonly used on sapphires as well to deepen their blues. Durability: For starters, sapphire, which is seen as a precious gemstone, is much harder than tanzanite, rating a 9.0 on the Mohs scale of hardness. That means that sapphire is far more durable and less likely to be scratched or damaged. Brilliance: Both tanzanite and sapphire exhibit a beautiful sparkle when they are polished and cut. Color: Both sapphire and tanzanite can range from a light blue to a deep ultramarine. 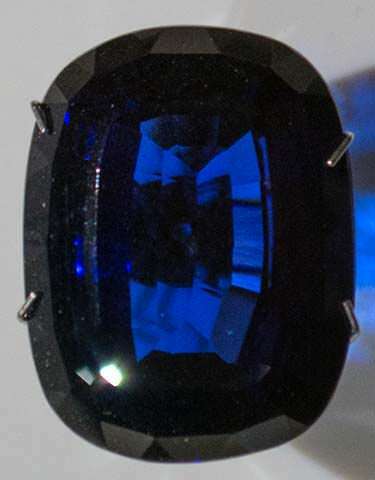 The main difference is that sapphire is monochromatic—it is blue and no other color—whereas tanzanite exhibits the special trichroism. If you look closely (or not so closely, depending on the stone and how pronounced the trichroism is), you will notice violet and possibly burgundy hues. This is true whether the gemstone is light or dark in color. In fact, you may most easily notice the difference in color between sapphire and tanzanite with the light stones, since the lavender tint is so obvious. With the deep blue stones, the blue is so saturated it may be easier to miss. 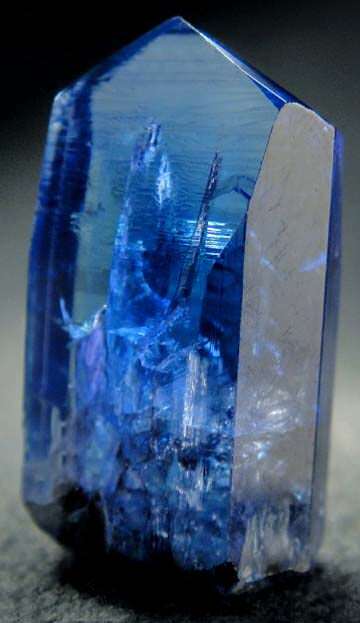 Also note that tanzanite usually falls within the blue-violet spectrum, though sometimes may heat to green. Sapphires on the other hand come in a rainbow of hues. Cost: The price range for sapphires is huge. The low grade natural ones sell for around $25-$30 per carat, but the high grade blue sapphires may range anywhere from $50-$2000 per carat, depending on color and other value factors. What about tanzanite? 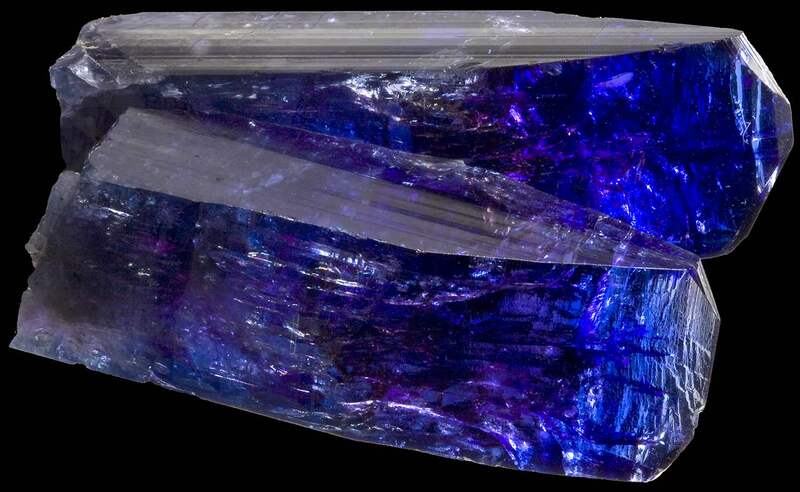 As a very rare gemstone, tanzanite does not come cheap. Expect to pay $500 per carat and upwards. You might even pay more than $1,000 per carat. For this reason, you never should look at tanzanite as a substitute for sapphire. They are both amazing gemstones in their own right, which is why they are both so highly valued. Tanzanite doesn’t really have any industrial applications. Its main use is in jewelry. You can purchase tanzanite pendants, earrings, rings, necklaces, bracelets, and more. It has an opulent and sophisticated effect, and can instantly dress up any outfit. When shopping for tanzanite, you should consider color, clarity, cut, and carat, the same four C’s that you use to evaluate a diamond. Carat: This is a measurement of weight. Obviously the larger and heavier a tanzanite stone is, the higher its relative value will be. Cut: The cut of a tanzanite gemstone is what brings out its sparkle and the richness of its colors. A particular cut may not only help to amplify the vividness of the hues, but also to bring out the trichroism effect. Another cut may conceal it. Whether or not that is desirable to you depends on whether you like the trichroism, or simply want a piece which exhibits a uniform color. Clarity: If no inclusions are visible to the naked eye, then tanzanite is generally given a top grade for clarity. Stones which have obvious visible flaws are generally very cheap compared to flawless tanzanite. This is deserving of its own section. Remember, when tanzanite is extracted from the earth, it typically is more of a reddish-brown color, quite unlike the deep blue-violet gems you find for sale. These stones may actually exhibit a whole rainbow of colors from different angles: red, green, brown, yellow, blue, violet, and more. 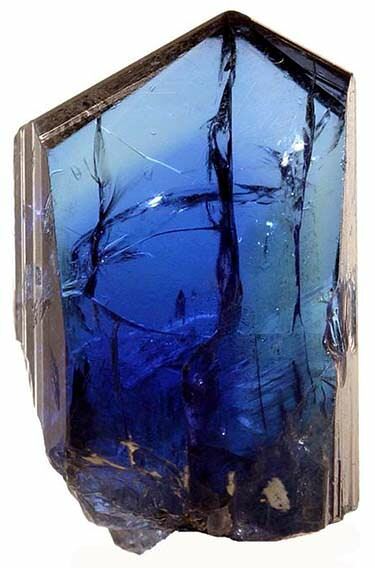 It is after tanzanite is heat treated that it becomes dichroic. Usually the burgundy and other hues are not preserved by this process, leaving only blue and violet. Sometimes this process actually occurs naturally in the earth (owing to wild fires and metamorphic processes), but more often it has to be done in a laboratory. Once the burgundy or brown hue is removed from the stone, the remaining shades of blue and violet are much deeper. Occasionally heat-treated stones turn green, with blue or violet as a secondary hue. While collectors enjoy these green pieces, most commercial buyers are searching for the blue and violet stones. Does heat treating impact value? You might think it would, but gem-quality blue tanzanite is so rarely found in nature that the heat treatment process is nearly ubiquitous. As a result, unless a tanzanite stone has a very particular history, you can assume while browsing in the store that all tanzanite pieces have been heat treated. As such, it generally is not going to impact the value of a piece. Note however that some tanzanite stones are coated with a thin layer of cobalt. This improves the color, but only temporarily. The cobalt coating will eventually come off. Always check for this while you are making your purchase. If you are shopping in the USA, jewelers are required to tell you about this coating. Finally, one more complexity that you will encounter while shopping for tanzanite is confusion regarding color gradings. This is because there is no universal scale for grading colored gems. As a result, you may encounter a number of different grading scales. As you can see, the scale is divided into two parts: vB, which stands for “violetish Blue,” and “bV,” which stands for “bluish Violet.” Along both scales, you can see that pale gems are generally less prized. Those which display the boldest hues are the most highly valued in either category, and these of course are the darker stones. As such, the darker, deeper blues and violets will generally be the most expensive. But remember, you should make your purchase based on what you or your recipient likes. Some people enjoy the lighter hues. As mentioned earlier, tanzanite is very expensive. You will probably pay more than $500 per carat, which if you think about it is quite understandable. Not only is tanzanite beautiful and unique to behold, but it is also very rare! Tanzanite can be found in all kinds of jewelry, but you will rarely see free tanzanite with a loose setting (or, say, hanging as a teardrop pendant). 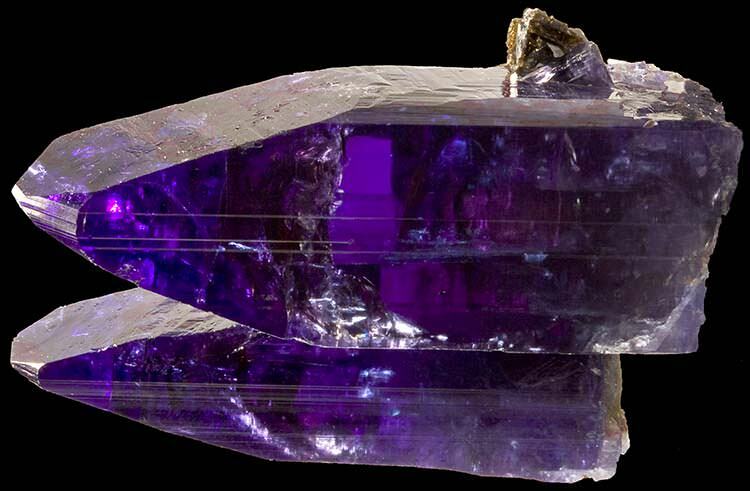 This is because tanzanite is not very hard and is easily damaged. For that reason, it typically is enclosed in a protective setting. While diamond rings remain the standard for engagement rings around the world, tanzanite is actually a great option if you are shopping for an eclectic partner. In fact, tanzanite was renamed from “blue zoisite” by Tiffany & Co., who is of course famous for their engagement rings (more on why that happened in a bit). Tanzanite is an amazingly beautiful and unique gemstone. The different colors have an incredible effect, and this makes a dramatic statement. For those who love vivid blues and violets, you are not going to find a gemstone with a more magical appearance. Tanzanite is rare and highly valuable. That means that you are unlikely ever to meet someone else who has a tanzanite engagement ring. And even though tanzanite is obviously not a diamond, it can make just as much of a value statement in terms of cost. In other words, your partner isn’t going to feel you skimped. On the contrary, she will probably be thrilled that you purchased something so costly and rare. Tanzanite is not a traditional choice for an engagement ring. Some people will still prefer a diamond over any other gemstone. A third option is to purchase a tanzanite engagement ring with small diamonds in the setting. This creates a mesmerizing look which joins tradition with uniqueness. As with any colored gemstone, tanzanite does not match every outfit. Since an engagement ring is something you wear every day, this could be inconvenient. This is probably the main reason other than aggressive marketing that diamond has come to be the gemstone of choice for engagement rings. The hardness of tanzanite is only 6.5 to 7. Meaning care should be taken when wearing tanzanite. This is not ideal for an engagement ring that you will wear very often and for a very long time. Cleaning tanzanite requires care, since the gemstone is not very hard, and may be easily damaged. For this reason you need to avoid ultrasonic cleaners and all harsh chemicals. Instead, use a soft old toothbrush and stick with warm soapy water. Make sure the soap you use is something mild, like dish detergent. As you would with any gemstone, it is important to stay away from abrasive cleaners. Scrub gently, rinse off all the soap, and then wipe the piece dry. If the metal setting needs to be cleaned, the brush should do a good job. You can follow up the cleaning with a polishing cloth and shine up the surfaces again. Always use a cloth specifically designed for jewelry polishing so you do not scratch precious metals. Storing tanzanite is a matter of protecting it from breakage as well as high temperatures. Keep it in a cool, dark place, and store it inside a protective pouch or box so that it does not get scratched by other jewelry. Be sure to take off tanzanite before doing any kind of manual work, athletics, or swimming. This will protect it from harm. This is good advice to follow with any gemstone. Tanzanite was discovered in 1967 by a tailor named Manuel de Souza, who prospected for gold part-time. He was living in Tanzania at the time, and was searching on a ridge close to Mererani, which is located about 40 kilometers southeast of Arusha. Originally, he thought the gemstone he’d found was peridot. 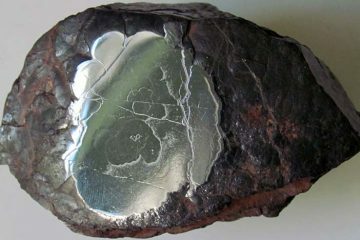 When he realized it wasn’t, he mistook it instead for “dumortierite.” He showed his discovery to John Saul, a geologist in Nairobi. Saul realized that the stone was not dumortierite either, and sent samples off to his father, Hyman Saul. Hyman Saul was vice president of Saks Fifth Avenue. Hyman Saul in turn took the samples to the Gemological Institute of America (GIA). GIA scientists analyzed the gemstone and figured out it was a new variety of zoisite, never before discovered. That is why tanzanite was originally known as “blue zoisite,” which remains its scientific designation. Why the name change? Tiffany & Co. thought “blue zoisite” would be bad for marketing, since “zoisite” happens to sound a lot like “suicide” when you say it aloud. Naturally no one wants to create that kind of mental association with a marketing campaign! So the company’s marketers came up with the new name “tanzanite” in honor of Tanzania. To this day, Mererani is still the only location where tanzanite has been discovered. So Tiffany’s original campaign stated that tanzanite could only be found “in Tanzania and at Tiffany’s.” Tiffany’s is no longer the only company to trade in tanzanite, so this slogan no longer is applicable. Tanzanite is a very meaningful stone to the Maasai people who are indigenous to northern Tanzania and Kenya. According to the Tanzanite Company, Maasai custom associates tanzanite and its beautiful blue color with fertility and new beginnings. Because tanzanite has brought an influx of value to the Tanzanian economy, it also has come to represent a rebirth for the country itself. For this reason, it comes as no surprise that the American Gem Trade Association (AGTA) selected tanzanite as one of the December birthstones in 2002. This makes it a wonderful choice for a gift for a December birthday recipient. It would also double its significance if you were purchasing a tanzanite engagement ring for a partner born in that month. A short introduction to tanzanite that showcases a few stellar gemstones. Iolite: This gemstone is a “dichroite,” which means that it exhibits more than one color, rather like tanzanite. Its main hues are also in the violet-blue range, so at a glance it can appear quite similar, and may be easily mistaken for tanzanite. Like tanzanite, it can also exhibit shades closer to brown from certain angles. 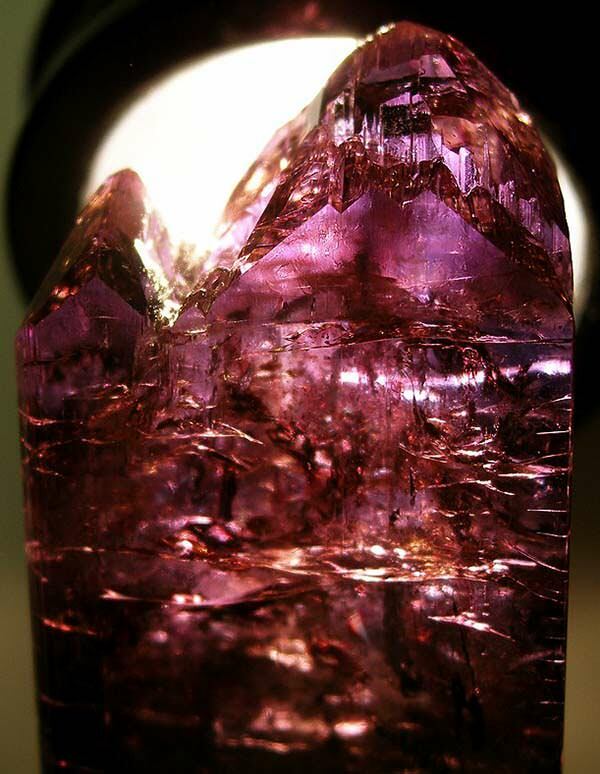 Iolite however is much more common and much less valuable than tanzanite. 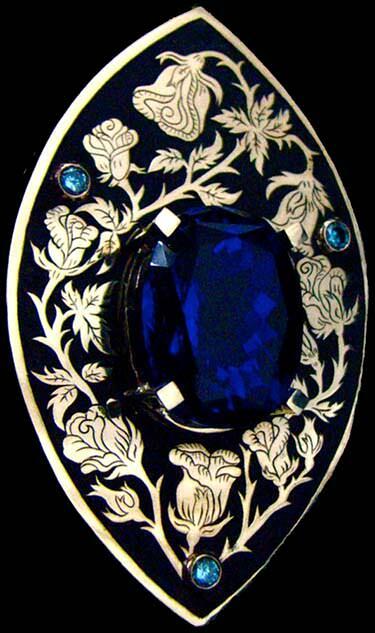 Sapphire: As one of the world’s four precious gemstones, sapphire is one of the most highly coveted gemstones on earth. Its deep blue color is incredibly vivid, which is why the bluer tanzanite pieces may easily be mistaken for sapphire. Both of these gemstones are highly valuable and make exquisite choices for engagement rings and other exceptional gifts.